Skye Gravestones | Peter Campbell. 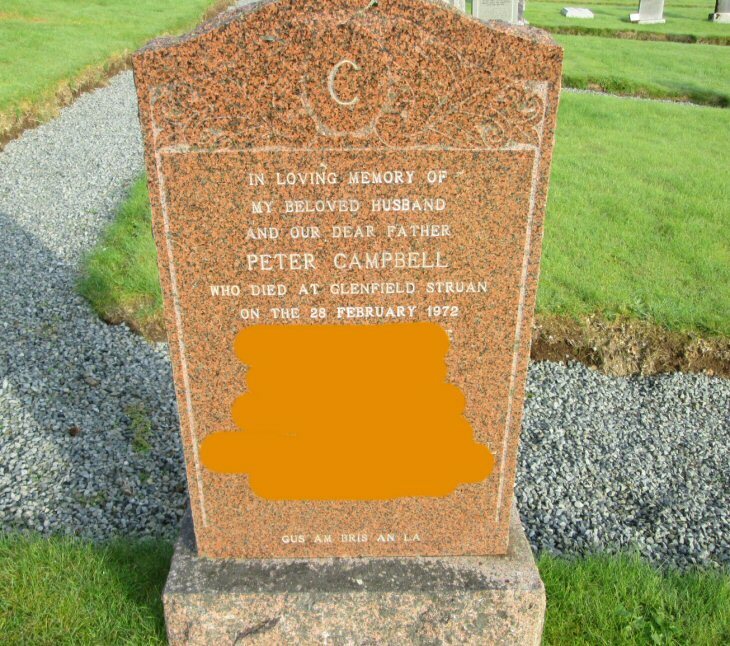 In loving memory of/my beloved husband/and our dear father/PETER CAMPBELL/who died at Glenfield Struan/on the 28 February 1972/["recent"]. Gus am bris an la. Picture Added on 16 January 2014.